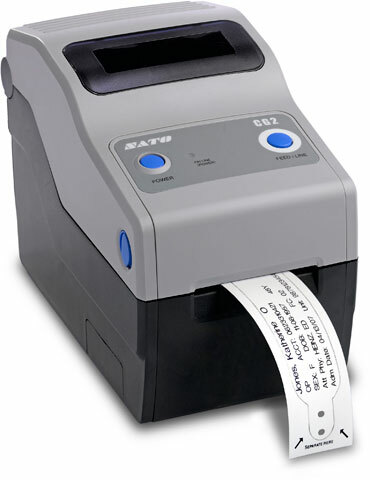 The SATO CG2 is a full-function desktop printer with a 2" print width and a 203 dpi resolution and is available in direct thermal and thermal transfer versions. The SATO CG2 is delivered stock out of the box with competitive emulations onboard, optimal interfaces (built in USB standard) and an antimicrobial casing for outstanding performance in clinical and processing environments. 1.25" x 1" Direct thermal paper label. 1810 labels/roll, 8 roll case. 1.75" x 1.375" Direct thermal paper label. 1350 labels/roll, 8 roll case. To purchase individual roll see (Part# 54SG02019-R).